If you or someone you love suffers from panic disorder, you know how debilitating this disorder can be. Panic disorder presents as extreme panic or fear that surfaces with no probable cause or advance warning. Panic disorder is a deep and underlying disorder that is different than the normal response of fear in stressful situations. 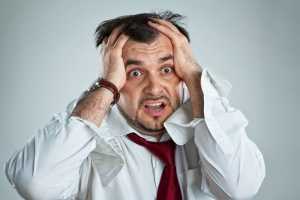 Panic attacks are generated from panic disorder. Once a person has experienced a panic attack, the disorder is born into a vicious cycle. The fear of having another panic attack further exacerbates the anxiety and fear that is already present. Living with untreated panic disorder is described as “nothing short of a nightmare”. Fear can be consuming, thereby making even the smallest daily tasks seem daunting and insurmountable. Those that suffer from panic disorder have a difficult time ever truly relaxing. Imagine walking around with a ball of intense fear living in the pit of your stomach. This ball is ever-present and halts you from ever truly enjoying life. This ball controls your every thought, action and reaction. Fear infiltrates into every area of your life and you feel as if you have no control over anything. This is just one of the many examples of how panic disorder can affect a person’s life. Life is full of joys and simple pleasures. It is easy for those who suffer from panic disorder to miss out on all of the beautiful moments life has to offer because their anxiety switch is always “on”. It’s reasonable to assert that some days are better than others. However, when you have a diagnosis of a panic disorder, you can rarely adjust to life peacefully without receiving treatment. The wonderful news for people with panic disorder is that it is treatable. If you or someone you love suffers from this incapacitating disorder, we want you to rest assured that without a doubt, there is hope! There is light at the end of what seems to be a very long and dark tunnel. Let us help brighten the way of your path towards healing. You can live peacefully, despite a diagnosis of panic disorder. It is important to note that a diagnosis does not define you. You are not your disorder. You are a complete and worthy person that has a disorder. Many people go on to live happy and successful lives while treating panic disorders. When you incorporate any of these treatment options, or any combination of the above options, the hovering black cloud of panic disorder dissipates and no longer controls you. Treatment for panic disorder is as unique as the person who is experiencing it. A trusted professional can be a source of extensive support and guidance to help you determine what type (or types) of treatment fit your individual needs. We hope that you have found this information helpful. If you are suffering from panic disorder, we urge you to not delay in calling us for help any longer.